What do you do if you’re worried about allergies at daycare? Deciding to go back to work, or have your child enroll in before-and-after-school care means having someone else be responsible for their wellbeing. We get it; it’s nerve wracking. And if your child has known allergies, it can be a lot to plan for when seeking out child care. However, there are some steps to take when managing your child’s allergies at daycare. We’ll cover some basics in this article. Of course, in this section, we’re not talking about babies unable to communicate. But we are saying that as soon as a child can learn about allergies, they should. Allergies need to be understood by the sufferer directly. While a child care worker may notice signs of allergic reactions in a child, keep in mind they may not be immediately noticeable. The best communicator of something going wrong is your child. They should both know about their allergy, and how to spot it. Moreover, they should know what to do when they experience a reaction. For example, they should know what to say to their teacher or caregiver if an allergic reaction happens, and if possible, know where their EpiPen® (or epinephrine alternative) is. While this may seem like a tall task for a toddler or preschool-age child, it’s not impossible. Kids do have their own ways of communicating their allergy reactions. For example, this document lists the sentences children may use to describe their allergic sensations. Allergies are not obvious threats, and they need to be taught to your child in a way they can understand. As a parent, it will be your responsibility to come up with an Anaphylaxis Emergency Plan, and then to share that with your child care provider. You’ll also need to let them know of any medications or medical conditions your child has, or needs, before you enrol them in the daycare. However, we understand that not all allergies result in anaphylaxis, and not all are common to every child. Knowing what to spot at a daycare, which may trigger your child’s allergies, is something you should be aware of before they attend. Do kids wash their hands before and after eating? How do you prevent food sharing at daycare? What precautions are taken to prevent allergy reactions? What training do your employees have when it comes to child allergy management? Are children taught about allergies at daycare? How are other parents made aware of allergy prevention at daycare? How is the daycare facility cleaned or managed with the view of allergens in mind? And so on. This article also discusses conversations to have with a child care provider. 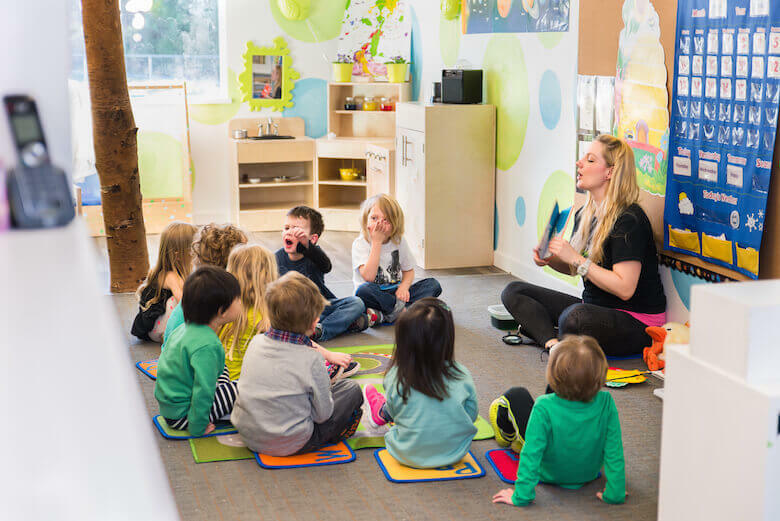 Find out for yourself how suitable the daycare’s environment will be for your child’s reactions. Remember, daycares can’t be expected to prevent all allergens from being around your child. But they can have measures in place for basic safety precautions. How far those precautions go will be up to you to find out, if they are of great concern. Since anaphylaxis is a life-threatening condition, it is critical that adult caregivers of children are aware of how to treat it, if it happens. The Government of BC requires there be a plan in place with regards to anaphylaxis at schools. If you are from another area in Canada or abroad, we recommend researching your local government’s rules on allergy management where children are involved. However anaphylaxis at daycare is another story, since daycares are usually private companies not under the jurisdiction of the BC Ministry of Education. However, this does not mean that daycares are not regulated. We have written about this briefly in this article on our blog. Here are other resources on the regulation of daycares in B.C. As you can read about in the above articles, knowing how to manage allergies that are disclosed by parents to daycare providers is mentioned in B.C. laws. However, as this article states, the prevention of allergies is a shared responsibility involving the parent too. A very important distinction to keep in mind, however, is that some child care is approved in B.C. without licensing requirements. These providers can be registered or not. This includes at-home care, such as with a nanny you would hire privately. In these cases, it will be your responsibility to ensure your child care provider has the training and qualifications to manage your child’s allergies. We would not recommend, for instance, hiring a nanny without a first aid certificate (at least), if you know your child is susceptible to anaphylaxis. The best cure is prevention, and this holds true for allergies at daycare. While professional daycares may staff trained early childhood educators who know how to use an EpiPen®, that doesn’t mean you’re off the hook when it comes to your child’s allergies. That said, communication and education is key to prevention.